If you are thinking about cycling to work but haven’t tried it yet – here are six good reasons to try. 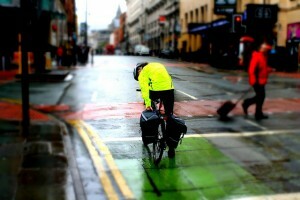 With the cycle to work scheme in the UK there has never been a better time to commute by bike. Plus, if you have just started and are finding it tough, these are five reasons to spur you on. 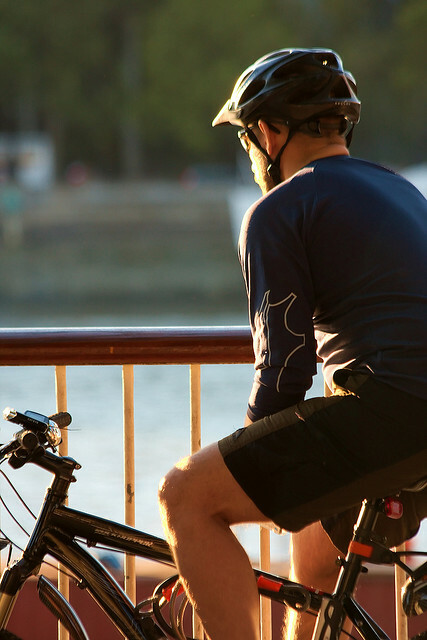 With the recent rises in the cost of petrol and public transport, riding a bike is an even better way to save money. Once you have bought a bike – which looked after properly can last for many years – there are few extra costs. Cycling to work is the cheap and healthy option. Compared with driving to work the average commuter can save around £600 by riding a bike. What’s more, by biking to work, with all the exercise you’ll be doing, they’ll be no need to shell out for that expensive gym membership. Getting a bike doesn’t mean getting rid of the car though, but it will help cut down your yearly milage massively, especially those hard wearing start-stop journeys to work. Riding a bicycle is fantastic for the environment in a number of ways. 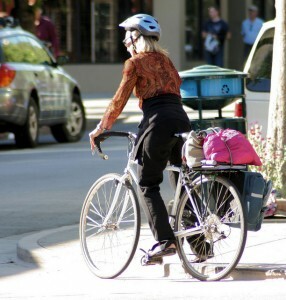 By cycling to work, you’ll be reducing your carbon footprint. Nearly a quarter of the UK’s carbon emissions come from road transport, a lot of which is the result of our long commutes to work. Cycling to work will cut this down to zero. Even if you’re not convinced by the case for global warming, most of us consider cutting air pollution to be a good thing, and riding to work will help you do your bit. Riding a bike also reduces noise pollution in the local area and makes it safer for pedestrians. On a bike – you are totally in control. Bicycles don’t get stuck in traffic. You’ll cruise right through the biggest queues in town. In numerous tests cycling has been shown to be faster than other modes of transport, including cars, buses and even the London Underground. There’s no waiting at bus stops, no traffic jams, no delays, just you and your bike. If you’re late you can cycle a bit faster. Plus you can go wherever you like – there doesn’t have to be a bus, train or tube stop there. It’s a great way to get to know where you live. Within a few months cycling to work, you will have a much better understanding of your local area. Okay: Which equipment do I need? As well as buying a bike, those new to cycling to work may need to invest in a few other items to make their journey to work the best possible. Check our cycling essentials page for the absolute must haves for your cycle commute. Here we have listed a basic set cycling gear that will enable you to stay warm, dry, and comfortable, keep you and your bike safe, and enable you to carry out a few basic aspects of bicycle maintenance. It’s not necessary to buy everything all at once but you’ll soon realise how useful some of these will be on your journey to and from work. 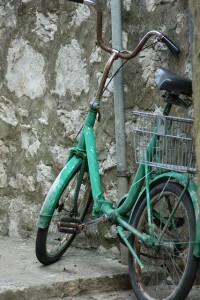 A bike! The most expensive and important thing you’ll need to buy. Bike lights. Essential in the darker months to keep you safe and seen. Bag or panniers. To carry your things to and from the office. Mudguards. To help keep you dry on wet mornings. Bike helmet. To keep you safe in the extremely unlikely event of a crash. Bike lock. To keep your lovely new bicycle secure. Bicycle pump. Keep your tyres and the right pressure to make cycling easy. Puncture repair kit. Fixing a flat is quick and easy. Spare inner tube. Sometimes you just need to replace those tubes. Oil or lubricant. Keep your chain slick for a smooth ride to work. Multi-tool. Even if you hate repairs, this can help make basic adjustments to your bicycle. Shoes for cycling. A dedicated set of shoes for cycling is a good idea. Shorts and t-shirt. Some old clothes or the latest technology, you just need something comfortable.